Don’t trust your child around the stove yet? Let them cook their eggs using the microwave instead! This high-protein, fluffy snack (or meal), can be made in minutes without getting near a flame or another heating element. Even better, they're fun for kids to make! Crack two eggs into coffee mug. Whisk for 10-20 seconds. Add low-fat cheese and seasonings of choice. Stir. 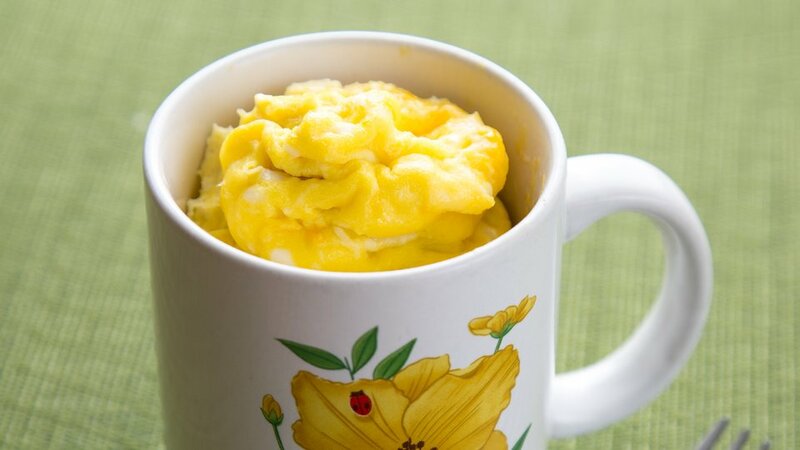 Let eggs cool down for a minute or two, give each kid a fork, and watch them go!